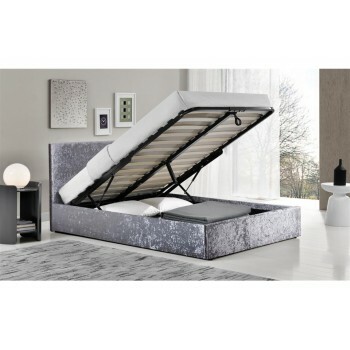 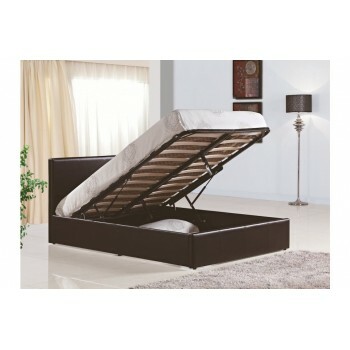 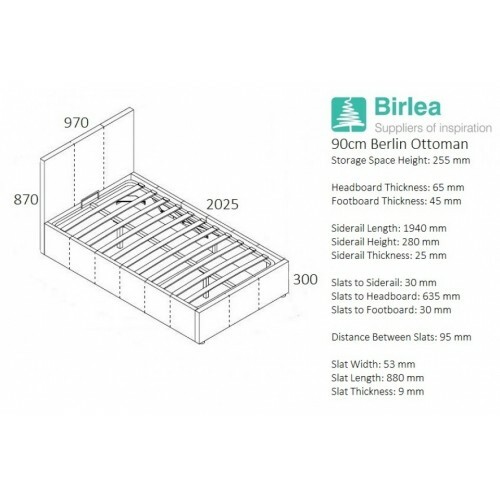 A sleek design, the Berlin Ottoman offers discrete storage functionality which adds both style and practicality to any bedroom. 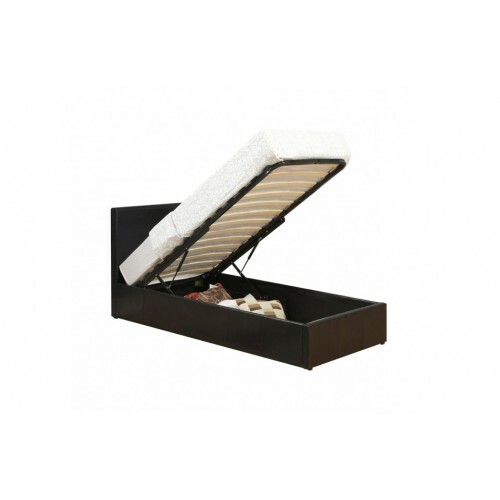 Upholstered in faux leather (PU) and with strong gas-lifts to access the storage space, the Berlin Ottoman is available in a choice of three colour options: black, brown or white. 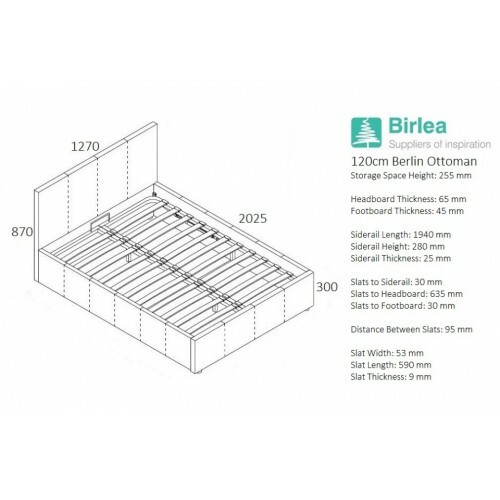 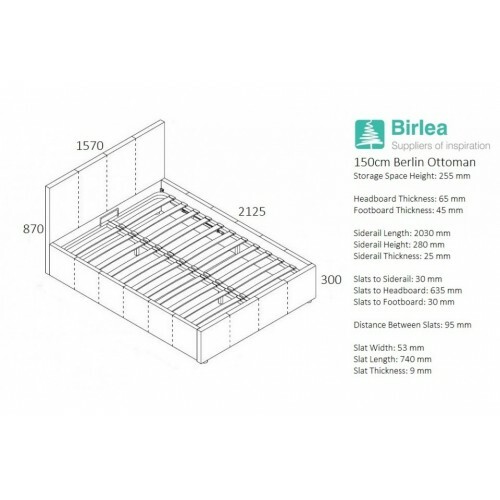 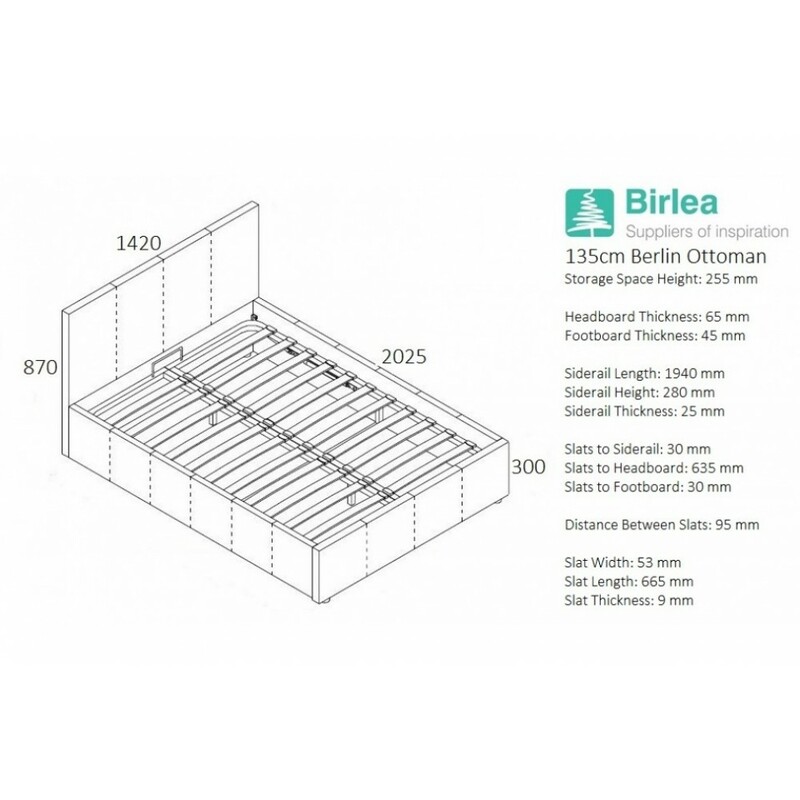 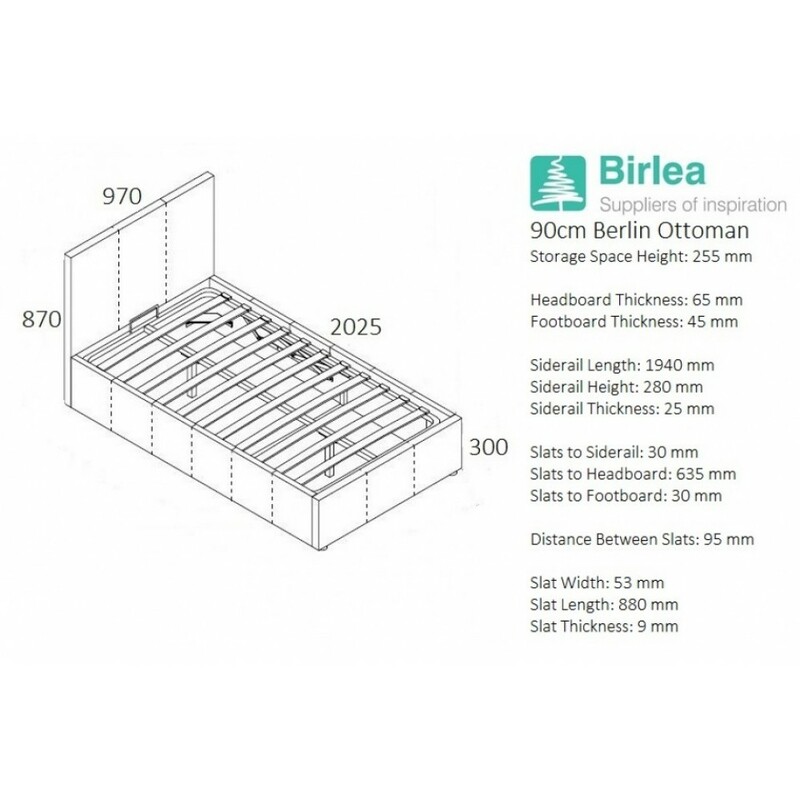 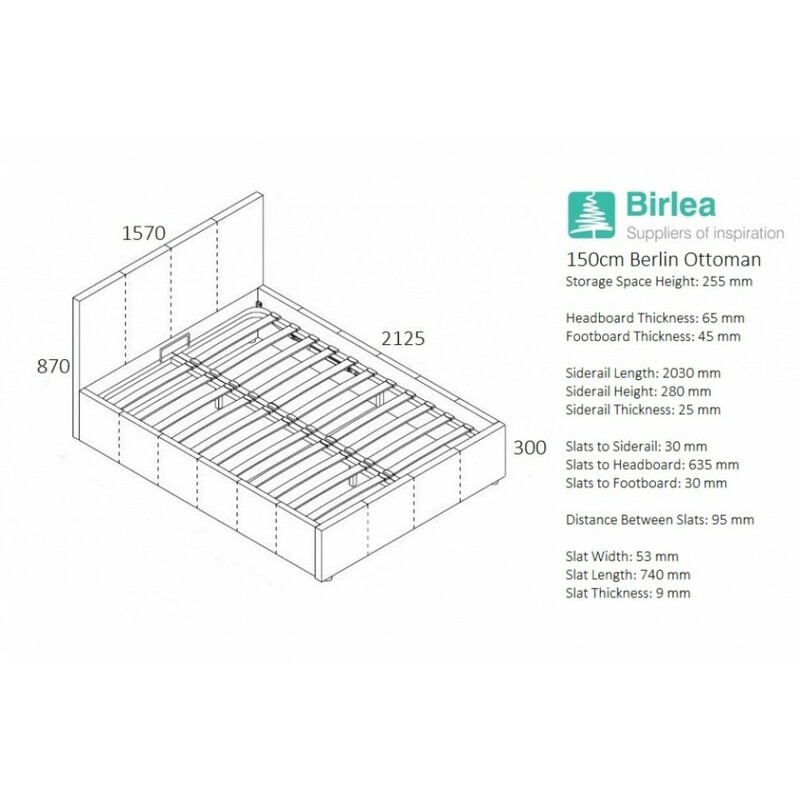 The Berlin Ottoman frame now includes a protective base sheet. 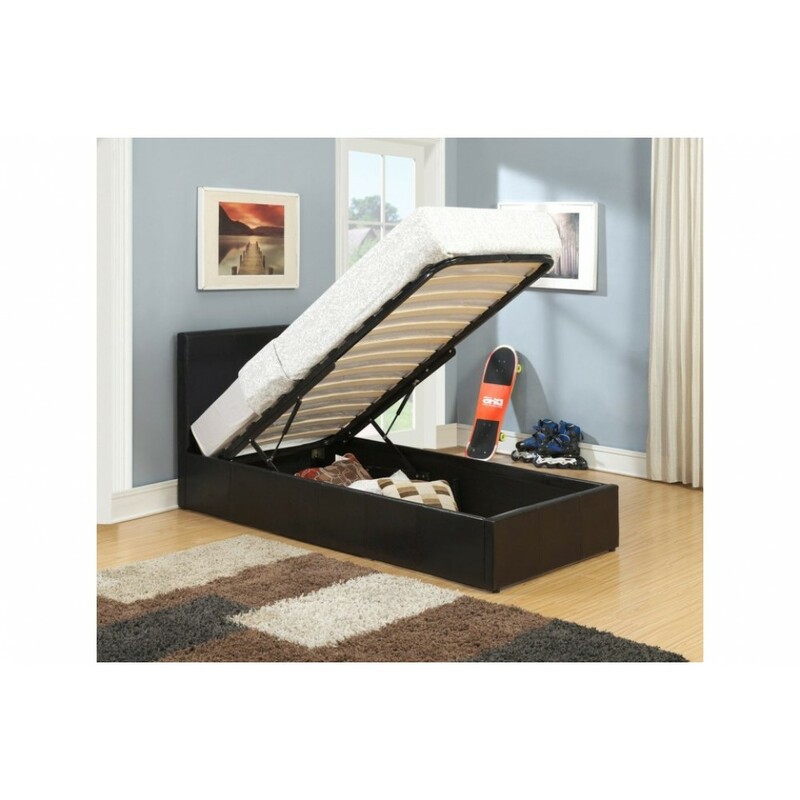 With a sprung slatted base for natural bounce, this bed frame adjusts to where most pressure is exerted to provide greater comfort.